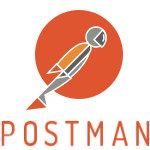 Postman helps developers and companies supercharge their API workflow. Postman on Chrome is the most efficient way to test, develop and document APIs. Create complex requests, go back in time and view results in a beautiful way. Postman has more than 80 features to help you at every step.